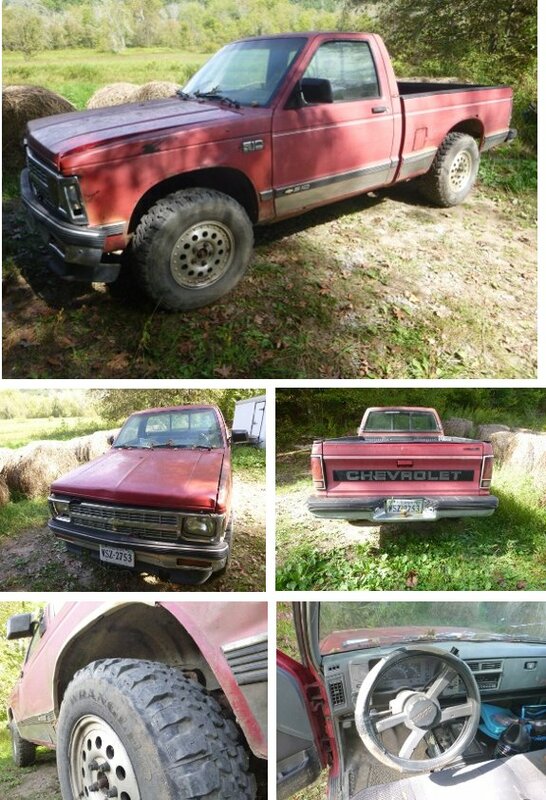 As our moving date gets closer we've decided to sell our old farm truck. 1993 Chevy S-10. It runs good with a new fuel tank and mud tires. 4 wheel drive. The steering is a little loose but the engine sounds solid. 800 dollars price should help to move it fast. more details please: original engine? mileage? rust? anything else? How do we contact you? That should sell quick, hard to find a driveable 4x4 with new tires for any less. May you not have to waste a lot of time dealing with nit pickers, low ballers, and those who want to make "payments"